The new house is. done people! Well, done enough for now. I kinda doubt we will ever stop working on it to tell the truth. No worries, photos coming soon I promise! So, now that the remodeling is done, its time to start decorating! I've decided I love the look of white walls. 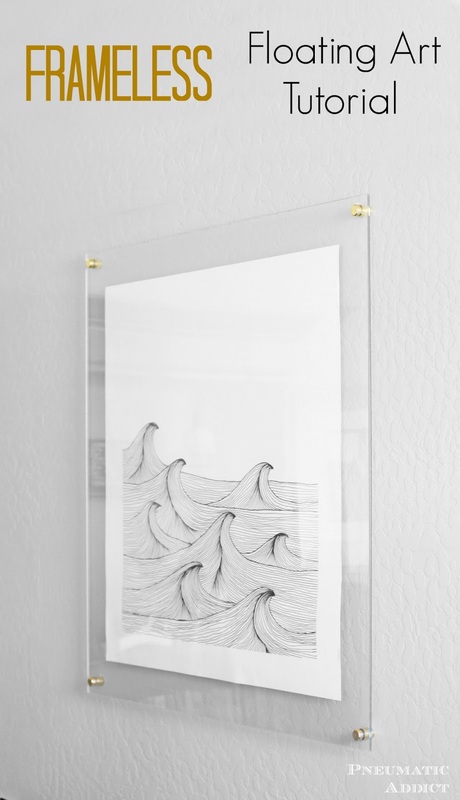 Something I've discovered is, if you are going to have white walls, you've got to have some amazing art hanging on them. I've had an idea for a floating frame swimming around in my head for a while. 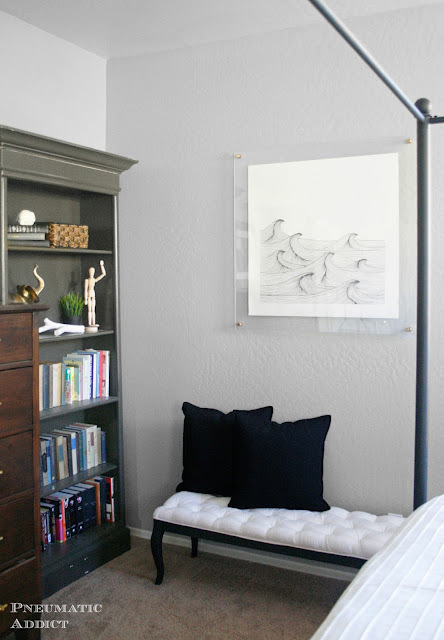 Combine that with a gorgeous art print I spotted on the Minted website, and I'm one step closer to filling my walls. 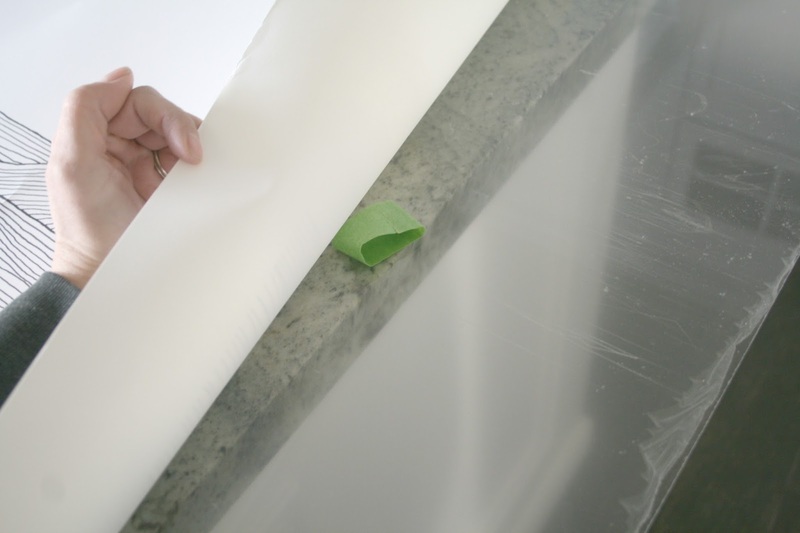 You can buy acrylic sheets in almost any size. 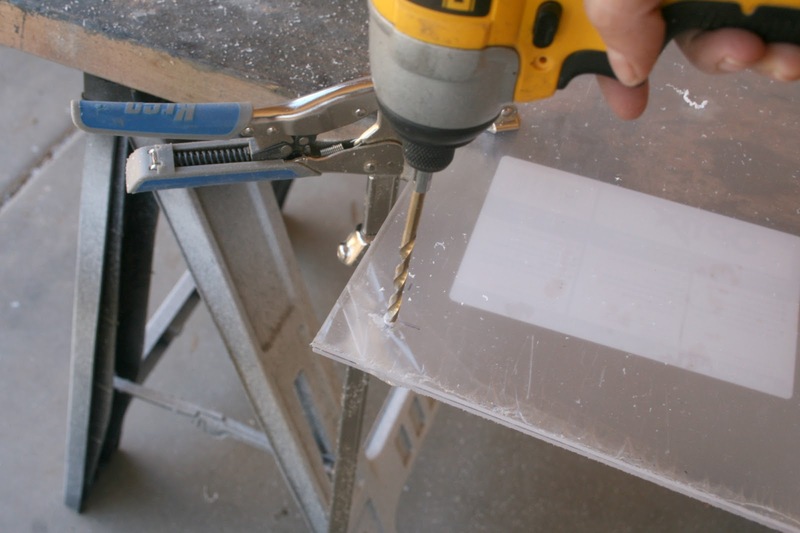 If your acrylic sheets are not already the size you need, you will want to cut them down. 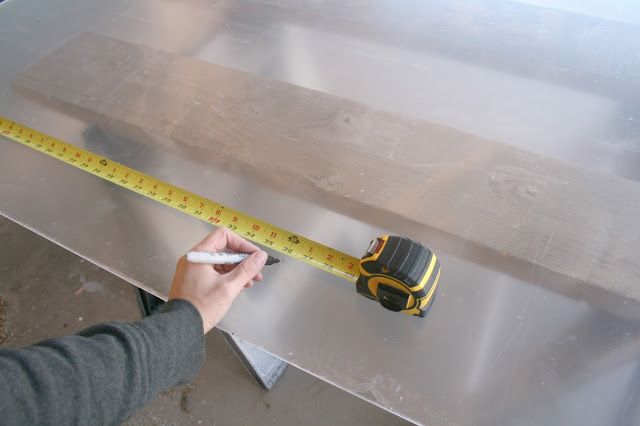 Make sure to leave the protective film or paper on, and use a tape measure and square to draw your markings. 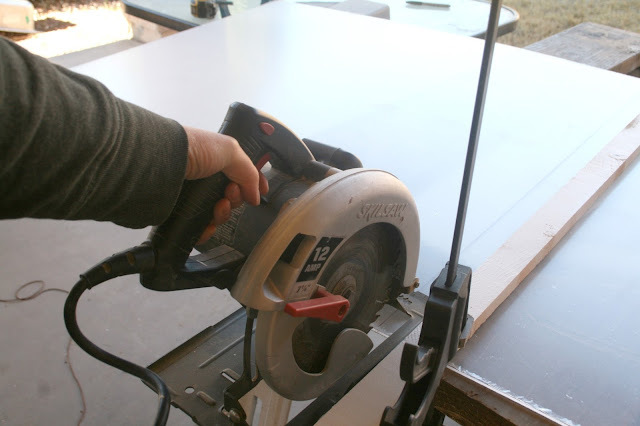 Align both sheets, one on top another and clamp them to a solid work surface. Decide how far from the corners you want your mounts and make a pen mark. Depending on the size of stand-offs, you will probably need to drill a pretty good sized mounting hole. To avoid splitting and cracking, I would recommend starting with a smaller diameter drill bit and work your way up to a larger size. I ended up using a 3/8" diameter bit for my mounting holes. 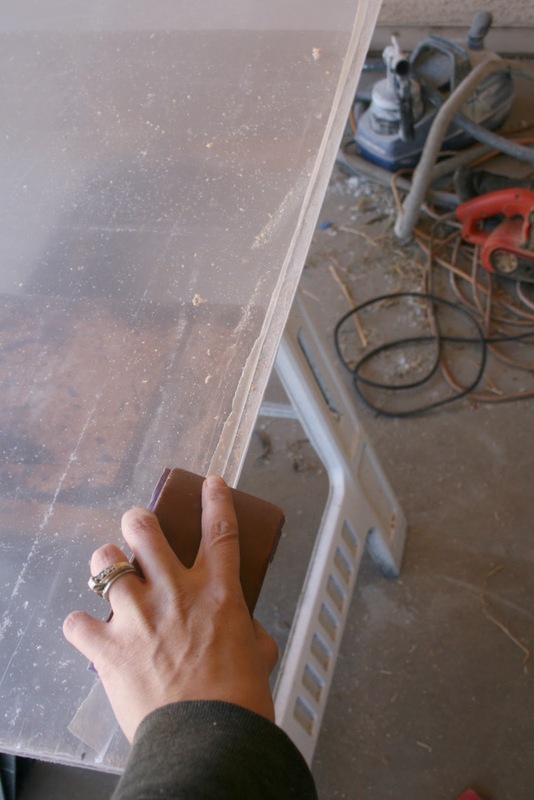 Once you have you sheets cut and drilled, you may want to sand down the edges with a fine grit sandpaper. Open the sheets apart on a flat surface. At this point you will need to peel the film off of one side of one sheet. Lay your art print backside down on the exposed sheet and use a measuring tape to make sure its placed exactly where you want it. 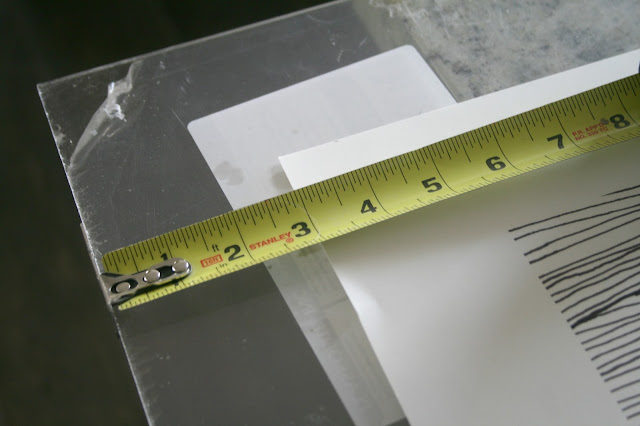 Without shifting the print, pull back a corner and place a piece or two of acid-free tape. I would probably use double sided tape next time, but rolling it worked pretty well with the thick paper of my art print. Now the art is ready, its time to attach the standoffs. 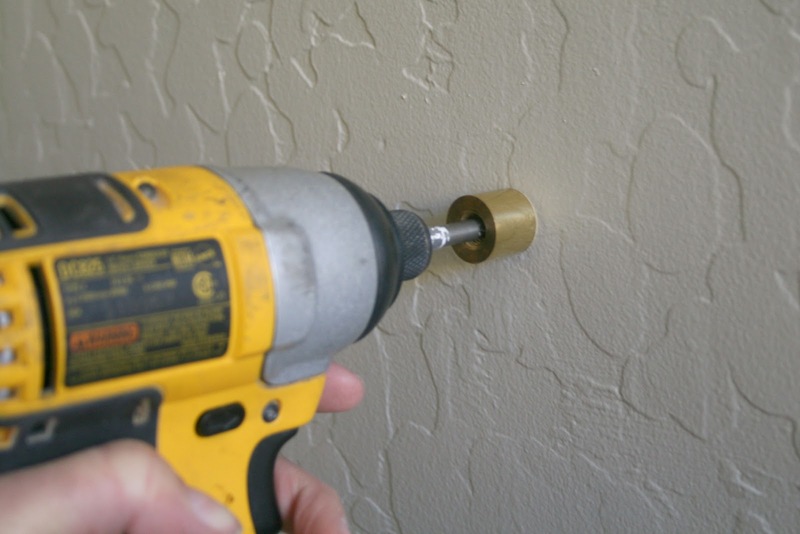 With the standoffs I used, unscrew the cap and then you simply drive one of the provided screws through the opening and into the drywall. 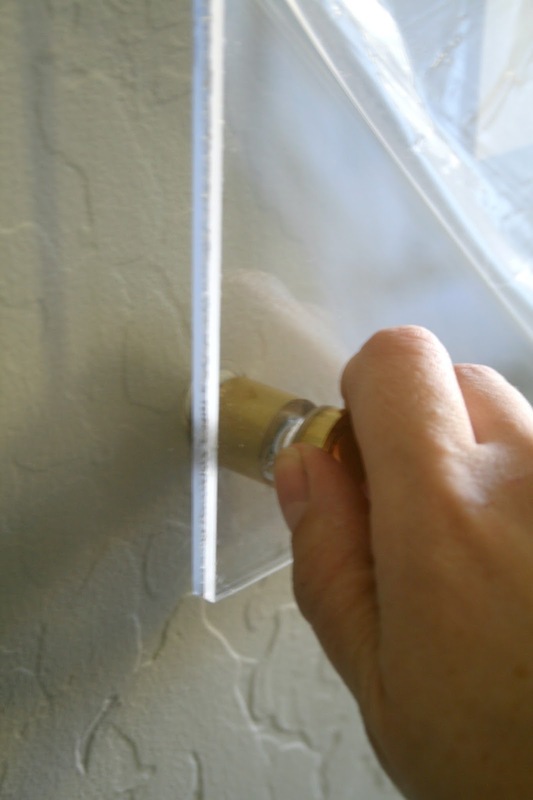 If your standoffs don't line up with the studs in the wall (and they probably won't) you'll need to insert drywall anchors before you drive the screws into the wall. When your ready to hang the art print, it really helps to have an extra set of hands. Lift the acrylic/art sandwich into place, and twist a cap over each stand-off. 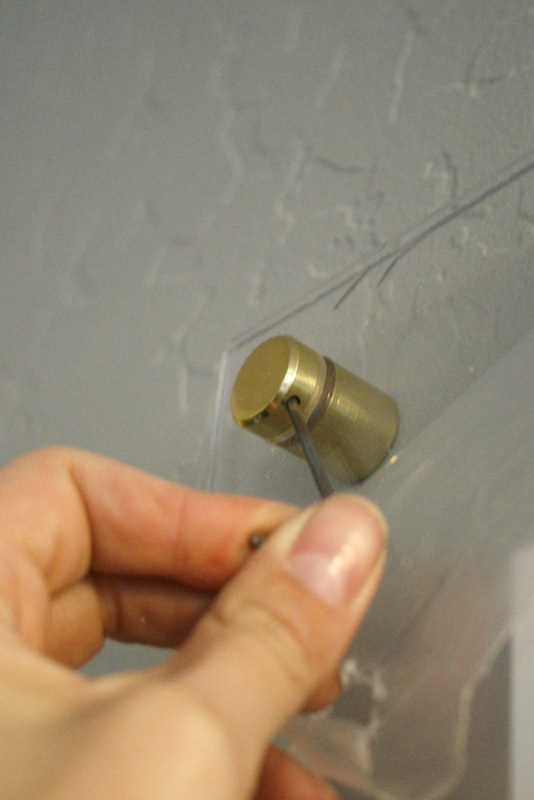 If your stand-off caps have a small hole on the side, you can insert a small Alan wrench (whatever you can find in the junk drawer) to twist the cap and tighten it down. And that's it! You're in business. I absolutely love how the lack of a heavy frame draws full attention to the star of the show; this gorgeous art print. 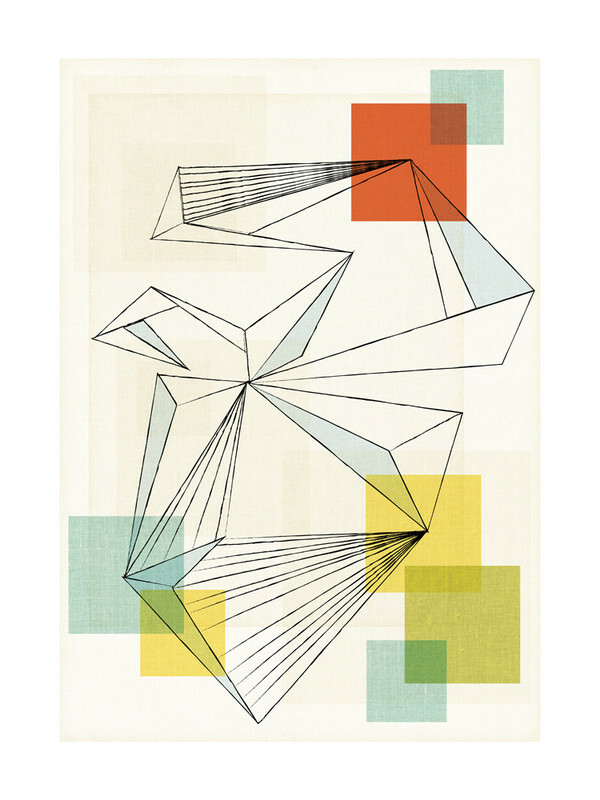 The name of the print is "Drift" by artist Naomi Ernest and I couldn't love it more. Seriously, I've been drooling over this print since the first day I saw it. I have never loved a piece of art as much as this one. Our new bedroom is a little on the small side, which makes getting a good photo challenging. 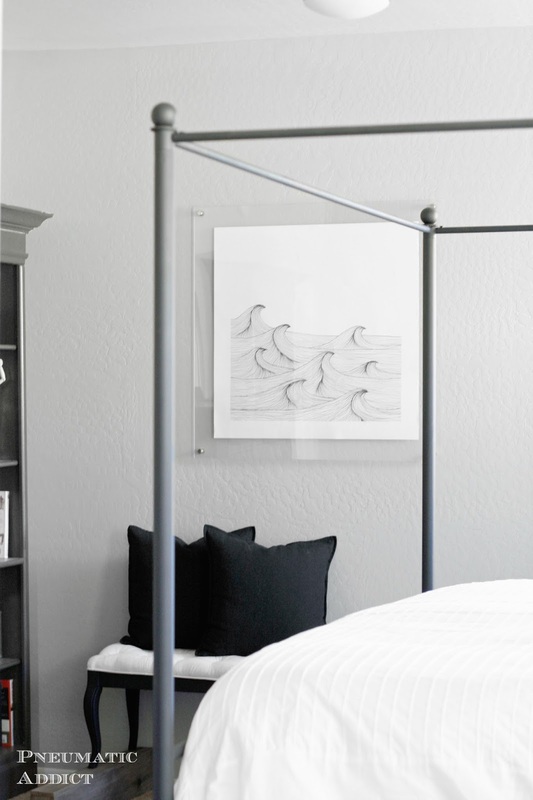 A heavy, thick frame would make a small room feel even smaller. 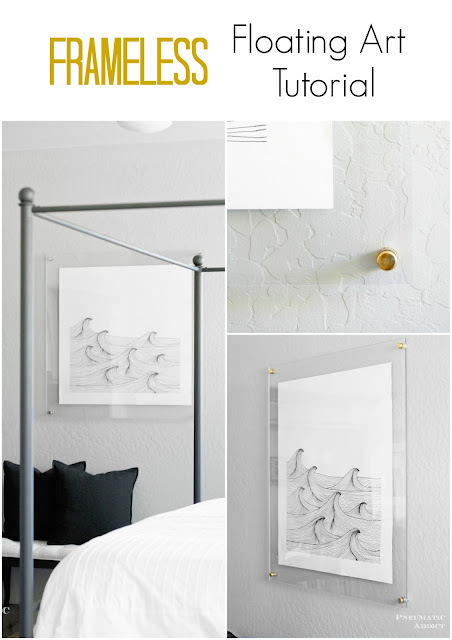 The light, floating frame is kinda perfect for a tight space. 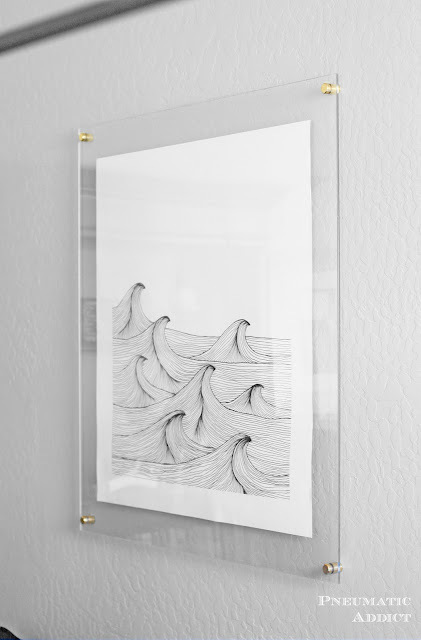 The cool thing about a frameless floating frame is not only does it look cool, you can make them in any size or shape you can think of. How could would a group of hexagonal floating frames me? Need some ideas for what to put in all those awesome frames? 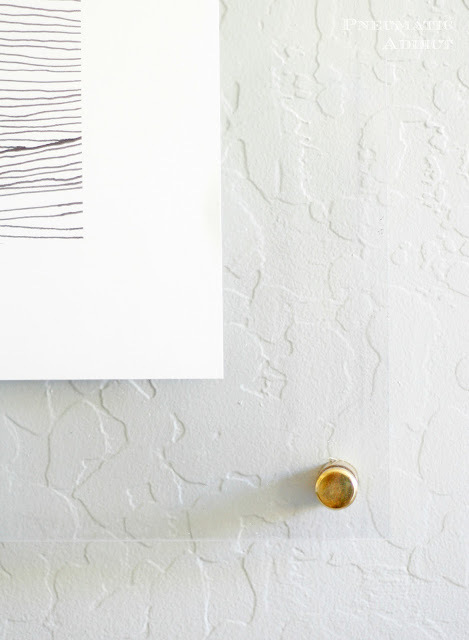 Minted has hundreds of drool-worthy pieces that you definitely need to check out. I've have a copy of "We Are All Conencted" that I've started creating a custom frame for and will be making an appearance soon. What do you think? Do you dig it? You can save this idea by pinning the image below. *This post contains affiliate links and sponsored content paid for by Minted. All opinions are my own and have not been influenced. It is beautiful Elisha! I love the look, and the print too!